So as some of you have noticed I've been trying to get on top of my written patterns for my Yarn Scrap crochet video tutorials over the last few days so I can get this written pattern to you guys sooner rather than later. So at last I share the written crochet pattern for my Little Cowboy/Girl Baby Boots. Please note* I cannot give advice, without much work involved, for different sizes or what to do if you use a different hook or yarn weight, thank you. Ch1, TURN, 1sc in next st, [1hdc, 1dc] in next st, 2dc in next 2 sts, [1dc, 1hdc] in next st, 1sc in next st, sl st in next 4 sts, 1sc in next st, [1hdc, 1dc] in next st, 2dc in next 2 sts, [1dc, 1hdc] in next st, 1sc in next st, sl st in next 3 sts, sl st in ch1 to join - (28) Fasten off and tie in all tails. *Ch2, 1sc in 2nd st from hook, sl st in next st on main circle* repeat from * to * until end and you have 5 points, fasten off and use remaining yarn to sew onto boot. And now you're done! Any questions or for more free patterns join on my various social media channels. I love these stars. 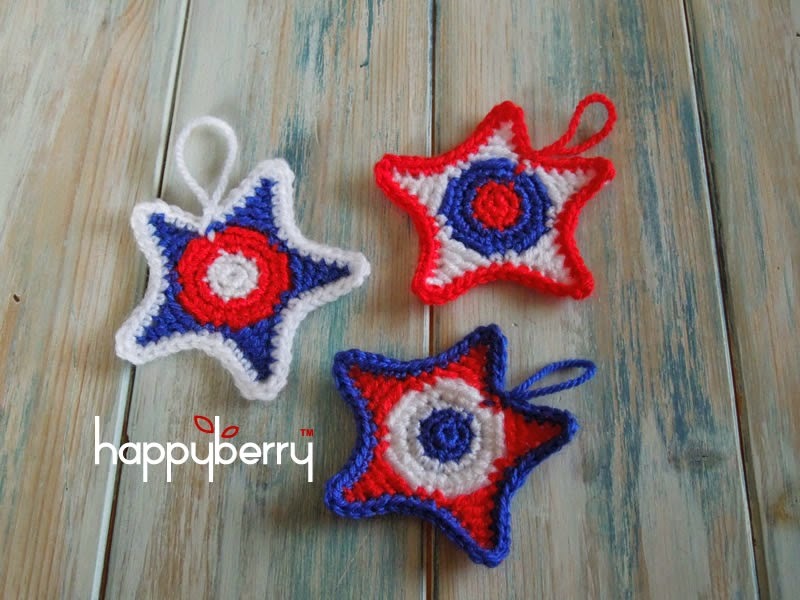 I originally designed these for the 4th July for my American friends but they are also so perfect for Christmas or as sheriff badges. The finishing round also really brings this design together. I hope you enjoy this pattern as much as I have enjoyed designing it. Note* when joining a new colour, join the new colour in the sl st that joins the round, i.e instead of yarning over with the same colour to finish the sl st, yarn over with the new colour. *ch6, sl st in 2nd st from hook, 1sc in next st, 1hdc in next st, 1dc in next st, 1tr in next st, sk5 sts on main part of star, 1sc in next st* repeat from * to * until end finishing with a sl st in 1st ch of 6 instead of the 1sc, join your last colour in this last sl st.
Crochet 1sc neatly around edge of star, fasten off and either use remaining yarn to form a loop to hang your star or just tie in all your tails as normal. Another Yarn Scrap Friday written pattern for thee! Today I share with you the written pattern for my little mouse. 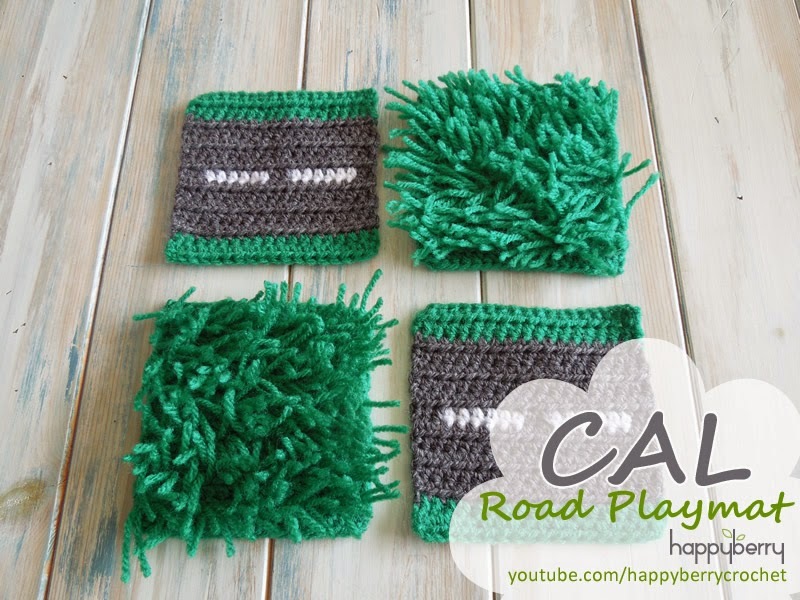 Such a cute little design and so simple to make, just perfect for using up those scraps. Pause your mouse here and sew on some little eyes. Now crochet the ears. Crochet 8dc into a magic circle, pull to tighten, (do not join round), fasten off and use remaining yarn to sew onto mouse. Tie ends on inside of mouse. Alternatively you can ch4, sl st in 1st ch to form a loop, crochet 8dc into loop. *sc2tog* repeat around until end is closed, when it gets too fiddly you can sew the end of your mouse closed by sewing into the next st and the next and pulling tight like a draw string. Fasten off and use remaining yarn to form the tail. To do this sew tail end (no pun intended) into body a few times to secure (don't pull too tight at first, as you will distort the nose), then finish by sewing out through the bottom of your mouse, cut to desired length and this is your tail. See video for more information. 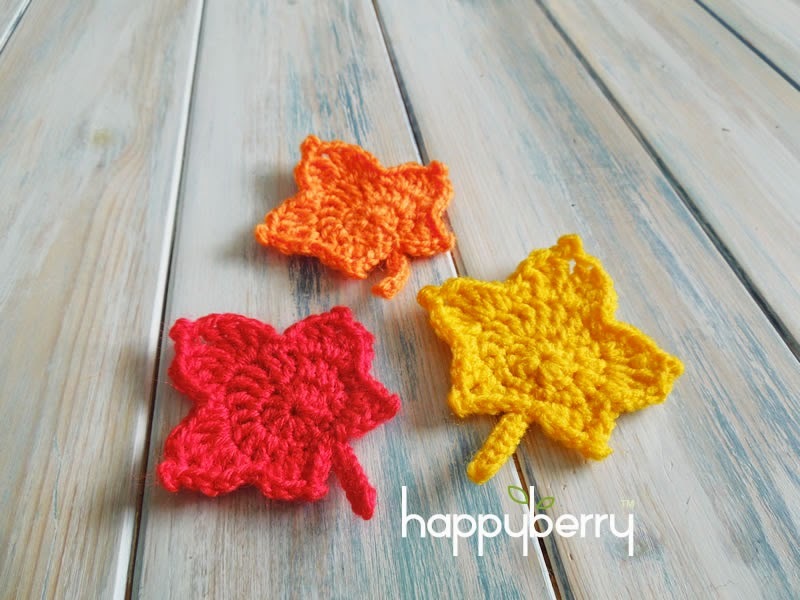 Back in July I did a special crochet video tutorial for Canada Day with these cute little Maple Leaf designs but these leaves are also perfect for the forthcoming Autumn season so I thought I would finally write up the written pattern for you guys. Very simple to make and a great way to use up those scraps! Alternatively you can ch4, sl st in 1st ch to form a loop, crochet 10dc into loop, sl st in 1st dc to join. Fasten off and tie in all tails and now you're done! 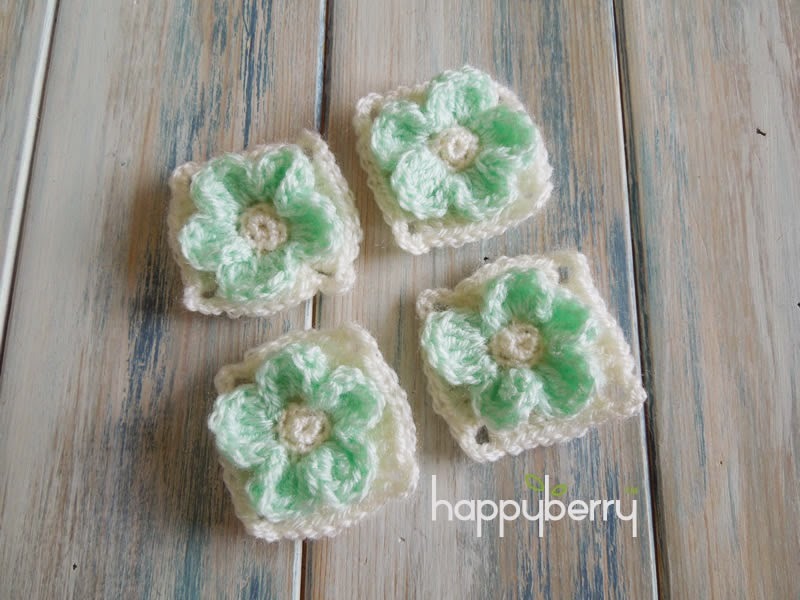 Here is the written pattern for our little embossed flower granny squares! I hope you enjoy. Ch6, 2dc in ch sp below, *1dc in next 4 sts, 2dc in 2 ch sp, ch4, 2dc in same 2ch sp* repeat twice more, 1dc in last 3 sts, 2dc in ch sp, sl st in 2nd ch of 6. Fasten off and tie in all tails. Join your flower colour in 1st front loop from round 3 and crochet [1sc, 1dc, 2tr], [2tr, 1dc, 1sc] in next st, *[1sc, 1dc, 2tr] in next st, [2tr, 1dc, 1sc] in next st* repeat from * to * until end, sl st in 1st sc to join round, fasten off and tie in all tails. And now you're done! 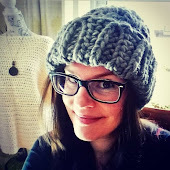 Any questions or for more free patterns join on my various social media channels! 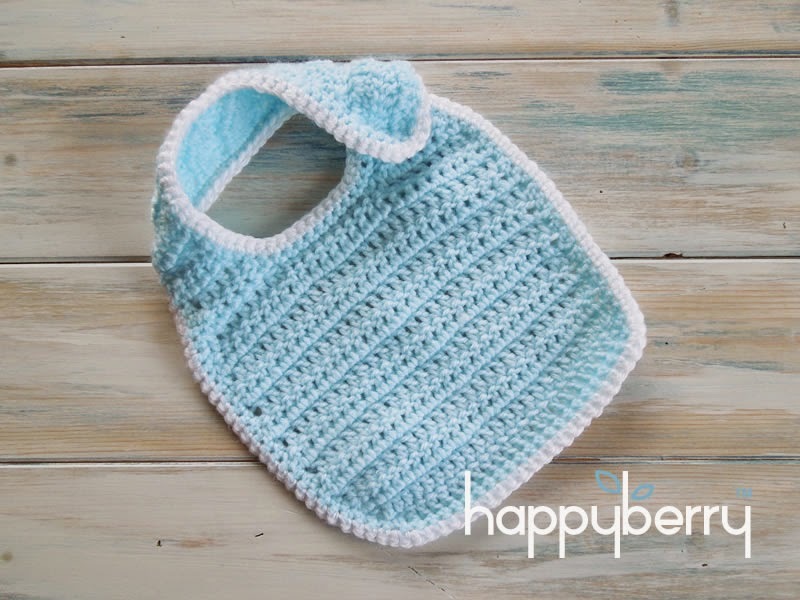 Back in June I showed you how to crochet a newborn baby bib and here is the written pattern to go along with it. I do recommend following the video tutorial as it explains some unusual techniques which may be hard to understand from the written version. Sl st down last dc to start crocheting back into the foundation sts on the opposite side as to where you normally would, 3dc in 1st st, 1dc in next 21 sts, 3dc in last st - (27) See video if unsure. Ch1, TURN, dc2tog twice, 1dc in next st, dc2tog twice - (5) Fasten off and tie in all tails. Using your white DK/Light worsted weight yarn, crochet 1sc neatly around whole edge, working extra sts on the corners, fasten off and tie in all tails. Sew on button or Velcro to finish.